At Last It has come, Tally has declared the end of the life for its version Tally 7.2. No Longer will Tally team provide support for Tally 7.2. 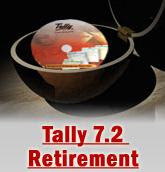 Tally 7.2 is retiring from Jan 1 2008. Any one who has got this software version has to think about his best options before 31st Dec. 2007 regarding up gradation of continuation with the version. The reason for retirement for this version as given by tally on its website is that its support staff and development team is concentrating on new technologies. Due to constrains in older technologies it is not possible to sort out some know issues of Tally 7.2. How ever, it is note worthy that tally has stopped any new releases in Tally 7.2 very long ago. Statutories were also stopped. In the light of these events it is worth while to think what it means for a Tally 7.2user. It means that, If I am a Tally 7.2 users then in case of any problem i would not get the support from Tally's toll free numbers. No new updates would be available in case of Tally 7.2. If you have discovered some bugs then it would not be fixed for you as it was earlier done by Tally. It means that user has to remain on what he is getting at present. 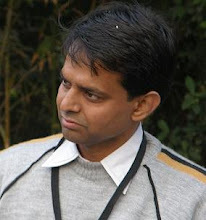 If it is sufficient and his work is going on smoothly, then its very fine otherwise he has to think about newer version. There are so many users who are still working on Tally 6.3 and working fine because they never felt any need to upgrade. It also means that in future if you need any customization etc then the older tools would no longer will be available in your version of software. The answer to all fears and questions regarding retirement can be viewed in Retirement FAQ's. The answer to this question to is a again depends on requirements. If you feel that in the age of windows xp and vista you can still do with your windows 98 system then windows 98 would work in same system for ever. Same is the case with Tally 7.2, If you are working fine and you think you don't need any thing else on same system then Tally 7.2 is going to work for ever. Company is not going to take you license back, it would be surrendered and activated as it is done now. As statutory rules would change and newer laws would come, so you need to upgrade your product too to full fill your business needs. If you think you and your organizations need would grow in future, then you have should go for upgrade to Tally9. Find a Tally partner near you and explore your best upgrade options. I already have a Tally 7.2 licensed Silver package which I use on my Windows XP computer. I am planning to buy a laptop from Dell which runs Windows Vista. 1. Is it possible to run Tally 7.2 on Windows Vista? Is there a patch which can effectively do this? 2. Is there any way to access the Tally 7.2 on my laptop as well as desktop without paying for an additional license? I will not be able to keep them connected as I will be accessing laptop mostly from home and desktop at office. Will upgrading to Tally 9.0 help? Mujhhe to kuchh yaad nahin aaya. jab jise hum bhoole hi naheen to yaad kise karen. par aapke Rewari me mere ek mitra Yaad rahate hain. unse milna aur unhen bhee blogging ke baare me batlana, sikhlana. Aapki tippani badiya lagee. pan apun to koshish karte hee rahenge. Ek nai Hard Disk install karwa raha hoon. Usi me karya karoonga. Baaki baaten chat me karenge. Par mitra aapne apna email address to diya nahin hai.